As a Linguistics Technician, you provide a foundation for translation and language development work by collecting, organizing, and analyzing linguistic data through interaction with speakers of a local language community. Typically, you assist in the production of grammatical and phonological sketches, basic discourse analysis, a beginning dictionary and text collection. You normally work as part of an established team or under the supervision of a more experienced linguist. This online course focuses on the interaction between language and the social context within which it is used. Topics include: regional and social dialects; multilingualism; language attitudes and their impact on national and personal identity; linguistic politeness; the maintenance, shift, loss, and spread of languages; and the impact of modern technology. Applications to gender and education are explored in depth. Offered online during intersession in May-June. This course can alternatively be taken in the standard classroom format which has more frequent semester offerings. This course introduces students to theories of second language and second culture acquisition. Students develop and evaluate self-directed strategies based on personal learning styles. Practical experience in the above topics is gained by working with a speaker of a non Indo-European language. NB: When taken in Fall term, LING 460 and 480 are also recommended. This course is not normally offered during the summer. If you need this course during summer session, please let us know and we will determine if there is enough demand. Practical methodology for managing, analyzing and describing language data. Working with a native speaker of a non-Indo-European language, students gain experience in the ethics of fieldwork, techniques of data collection and recording, analysis using the scientific method and the use of linguistic software. NB: LING 460 is recommended in same semester. 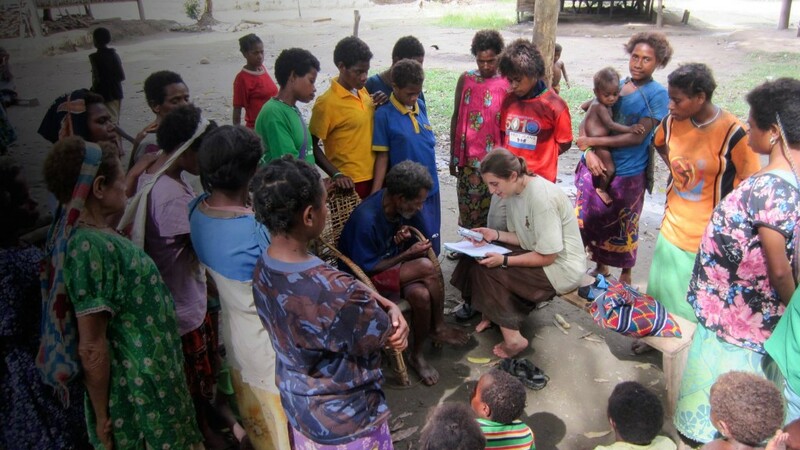 Working as a Field Linguist, you support one or more aspects of language development programs by planning, organizing, and conducting linguistic research in local communities, providing direction so that community and other team members can be a part of the effort and effectively contribute to the research. You prepare reports of your findings, archive your data, publish your results in technical journals, and facilitate the production of other materials beneficial to both academia and the community including grammars, dictionaries and collections of local stories and texts. This course provides an overview of current phonological theory. Students employ theoretical concepts to analyze complex data from a variety of different languages, gaining in the process a better understanding of the range of typological variation found in human languages.Minimum grade for prerequisite courses is B-. This course focuses on the question of how speakers of a given language effectively accomplish their communicative goals through the strategic use and shaping of language in both written and oral discourse. Students learn to identify different discourse genres, to chart texts for analysis, to discern hierarchical units within the macrostructure of a text, and to describe features of cohesion and participant reference, as well as identifying strategies in language for establishing the relative prominence of various streams of information. Special attention is paid to the interaction between alternate syntactic forms and their varying pragmatic functions in context. Please note that LING 361 and LING 362 can be used as a prerequisite instead of LING 360 Grammatical Analysis. This course provides students with the theoretical tools with which to study meaning at the word and sentence levels, and to explain how people interpret utterances in context. Students will study various models of semantics and pragmatics, and learn how to apply different approaches to the study of meaning in natural language. This course is only offered in ONLINE format. As a Translation specialist, you will engage with local communities to support translation of materials such as Scripture, medical, agricultural and educational materials into the local language. You oversee each step of the translation process, from initial exegesis of source material to draft to publication or media production of the final translation in the vernacular. Together with the language community, you will use a variety of methods to assess the naturalness, accuracy, clarity, and acceptability of the translated materials. Courses (13 courses, 39 sem. hours) + Bible and Theology courses . Note that all 400 level courses can be taken for 500 level graduate credit. This course provides linguists, translators and literacy trainers with principles of adult learning to increase their knowledge, skills and attitudes as effective trainers of adults in cross-cultural settings. Students will interact with literature in adult education; describe how these principles might apply cross-culturally; practice teaching using these methods; then analyze and compare approaches used in other cultures with practical application to training across cultures. While the focus is for training linguists, the principles can be applied to training adults in a wide variety of training situations.